Thanks to all my programming friends for all your support so far in 2006! It’s Andy Gesner and the staff from HIP Video Promo, with another terrific video from a band you will be hearing lots about in the new year. Today, it’s our pleasure to open stateside eyes to one of England’s most exciting young outfits. Lately, so many great records from new British bands have washed up on these shores that Anglophiles in America have had an awful lot to dance to. But the knock on these bands, to be fair, is that while the songwriting and production is invariably exciting, it’s occasionally tough to distinguish between them. Well, nobody is going to have that problem with Maximo Park. From the grace and intelligence of the songwriting to the apparent Geordie accent of frontman Paul Smith, everything about this Newcastle-upon-Tyne quintet is distinctive. Start with the group’s homebase – a quiet, smallish post-industrial city in the British Northeast, known for the intense pride of its residents and its remove from London. Newcastle and its “Geordie” youth culture is the subject of Smith’s oft-brilliant lyrics: he’s well-aware that his hometown is considered déclassé, and he plays on that distance with the deftness of a veteran provincial chronicler. Yet there’s something of the universal in his storytelling, and his stories of heartbreak, ambivalence, and self-discovery have struck a chord with audiences across England. In 2005, Maximo Park was almost certainly one of the best-loved bands throughout their native country (which they toured almost non-stop), and was, perhaps, also simply the best. Interest in the band has prompted our friends at Warp Records to follow-up A Certain Trigger, the dynamic debut, with a collection of rarer recordings. Missing Songs, the upcoming set, contains demo versions of several of the songs that first drew attention to Maximo Park: “Graffiti”, “Once, A Glimpse”, and the electrifying “Apply Some Pressure”. A highlight of the band’s well-honed live show, “Apply Some Pressure” spot-welds a wiry guitar riff to a deep new-wave bass-and-drums groove. 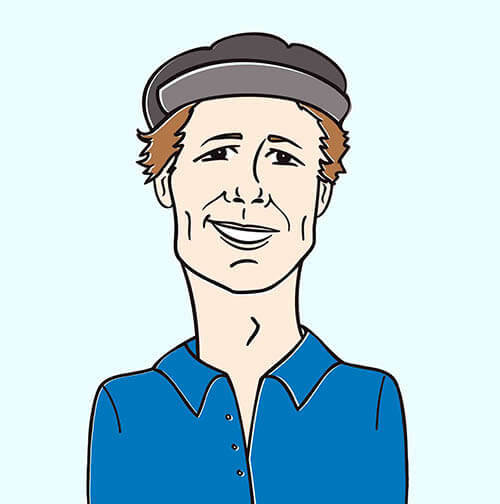 Smith’s instantly-indelible vocal hook and plaintive, pop-smart performance is reminiscent of Jarvis Cocker at his most compelling. The Diamond Dogs-directed clip for “Apply Some Pressure” also recalls Pulp: it’s stylized, arch, and pop-smart, and presents Smith and his band as natural heirs to the British new wave mantle. The band plays, blindfolded, on the stage of a grand old theatre; the walls are draped in red velvet, and the floors are a disorienting black and white checkerboard. Only Smith’s vision is unobstructed, and he stares at the camera with eyes wide, declaiming like an outraged statesman or a goaded actor. Two-thirds of the way through the video, his nose begins to bleed – but he’s so lost in his own fulmination that he doesn’t even notice. Away from the theatre (or perhaps just backstage), the drawers of small armoires and cabinets slam open and shut, right on the downbeat. Smith’s head pops up from the trays, strangely distended, singing with the same urgency; periodically, hands striking musical instruments also emerge from the cabinets. At one point, Smith staggers backward through a wardrobe, falling through the velvet folds and nearly tumbling over a skeleton. Images of mortality and corporeality flash through the clip: bones, a clock, a woman in tight stockings, blood from Smith’s body. The dominant color is deep red, and the video is a swirl of crimson; bold, intense, and impossible to ignore. We are thrilled to be working with the Simon Halliday and all the cool folks at Warp Records to bring you this intriguing video from such a buzzworthy band. We have plenty of copies of Missing Songs for on-air giveaways, so please don’t hesitate to get in touch if you agree Maximo Park is worthy of your viewers undivided attention. If you need more info, call Andy Gesner at 732-613-1779 or e-mail us at info@HIPVideoPromo.com . 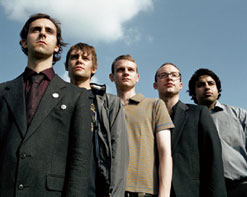 You can also visit www.WarpRecords.com or www.MaximoPark.comand to find out more about Maximo Park.